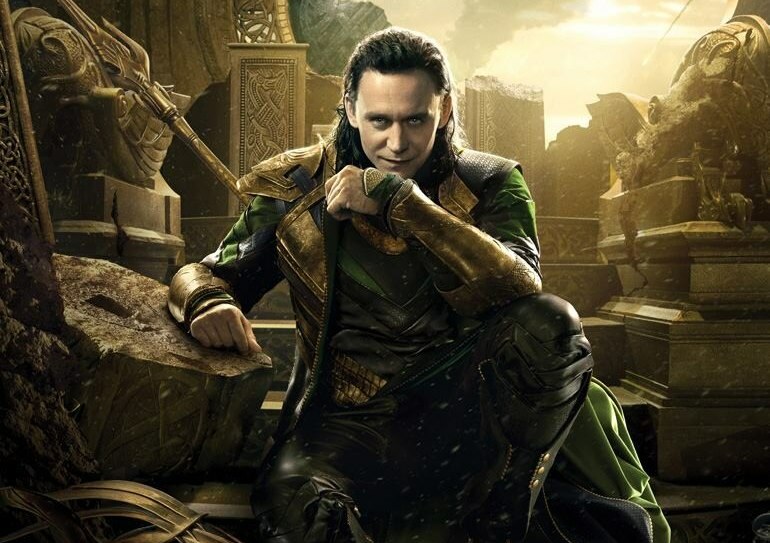 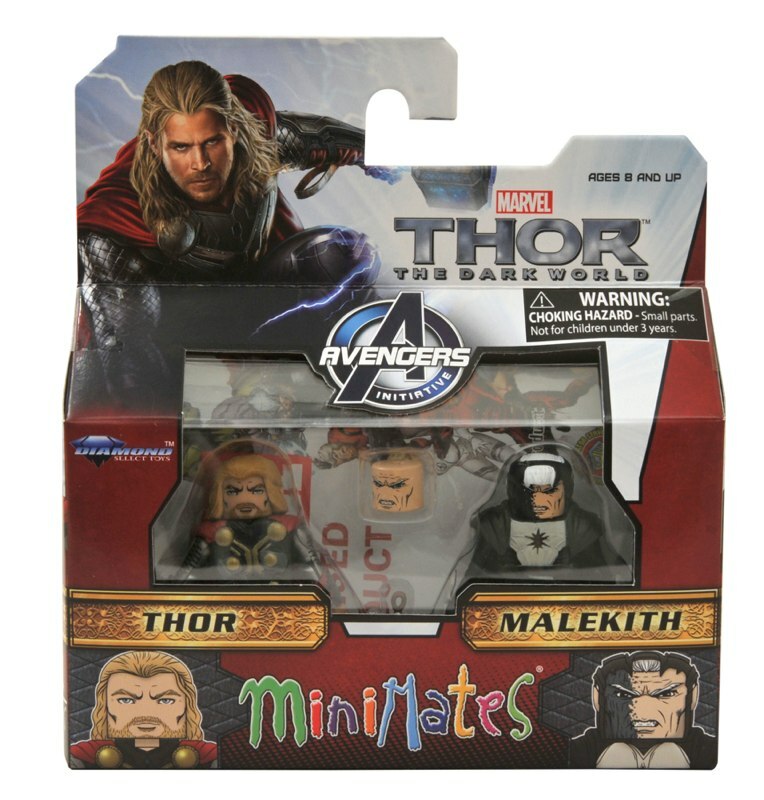 Thor: The Dark World is in U.S. theaters today, and while the series of Marvel Minimates based on the film is still a ways off, we couldn’t wait to show off the packaging in our new YouTube video broadcast! 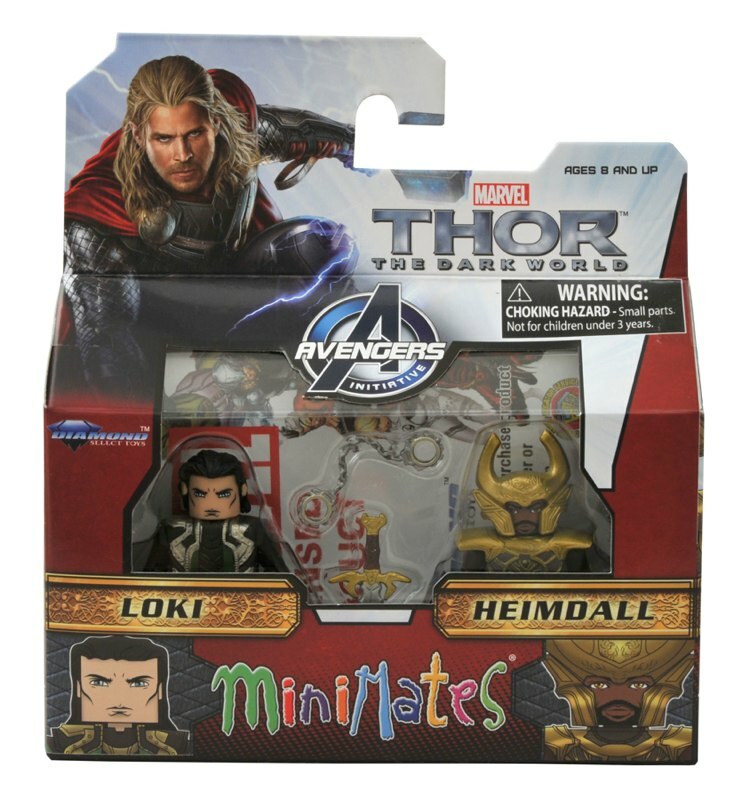 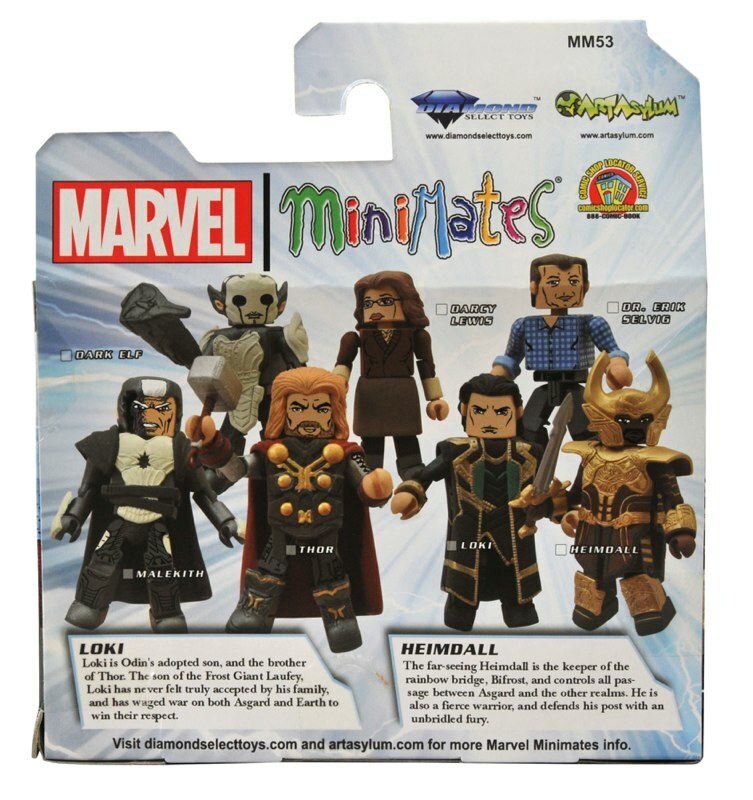 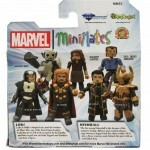 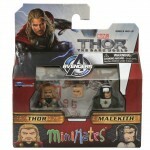 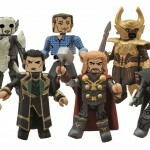 Check out the four two-packs in Marvel Minimates Series 53: Thor vs. Malekith, Loki vs. Heimdall, Selvig vs. 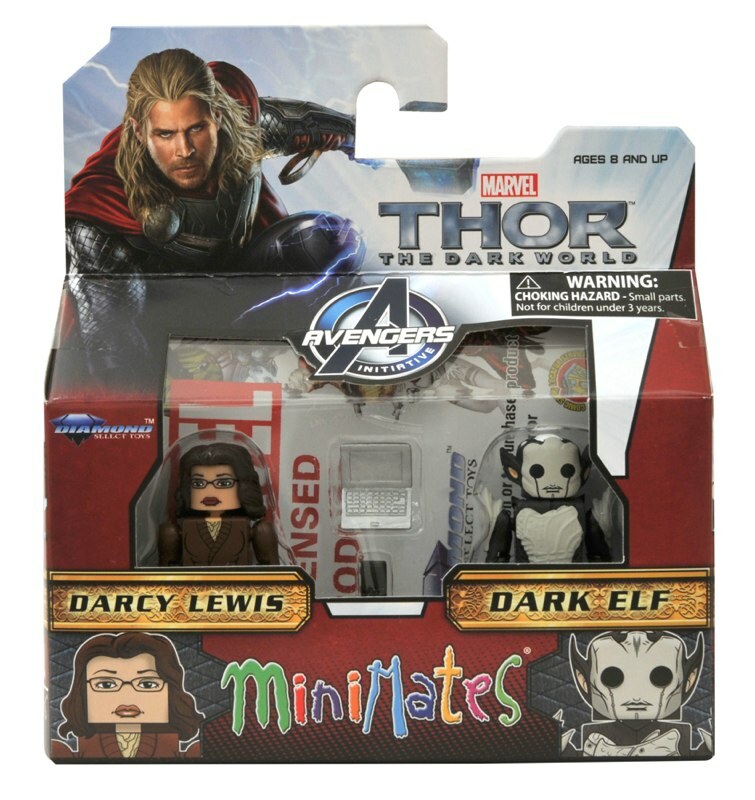 Dark Elf and Darcy vs. 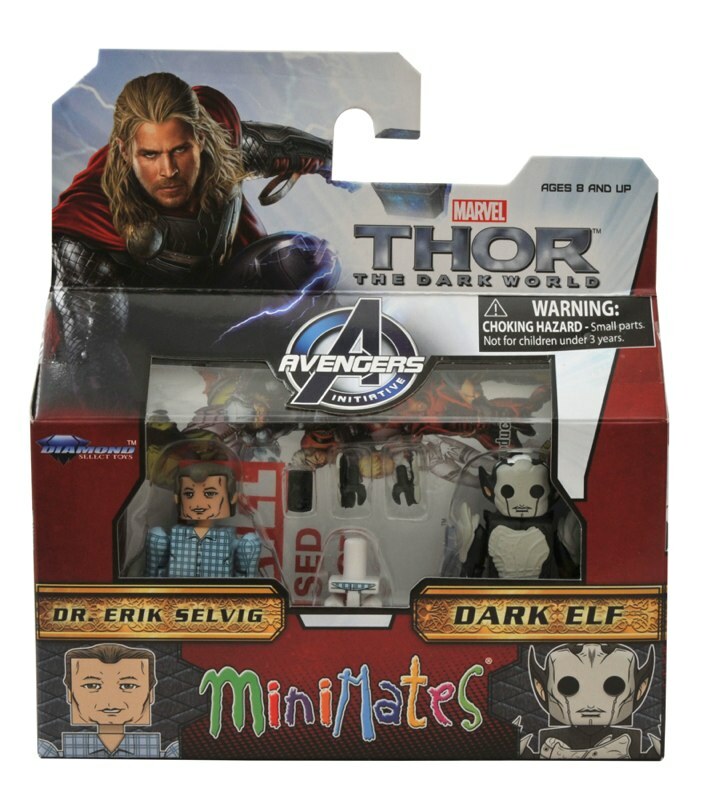 Dark Elf! 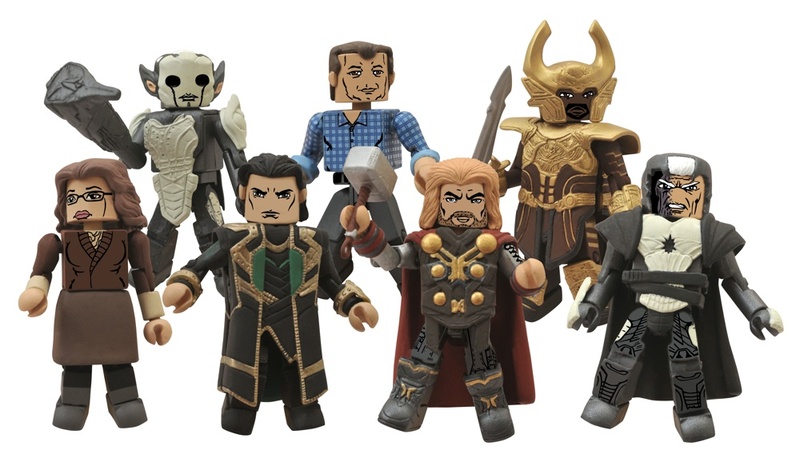 Standing 2 inches tall with a bunch of interchangeable parts and accessories, this series will be available in early December, but only at comic shops and specialty stores — these figures will not be at Toys “R” Us! 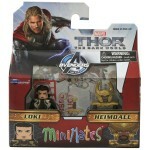 Check out the packaged pics below, and find your nearest comic shop at comicshoplocator.com! 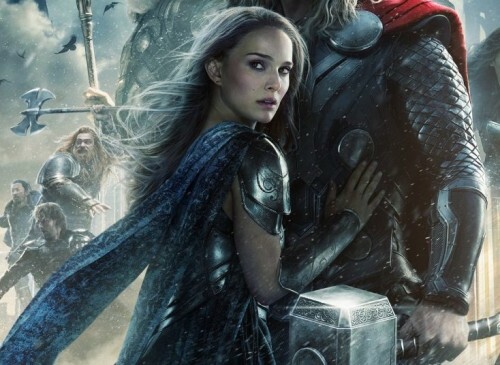 Next Up: New Photos of Marvel Select Jane Foster from Thor: The Dark World!